A life-changing surgical myectomy for the management of Obstructive Hypertrophic Cardiomyopathy will be performed by the UK’s largest specialist heart and lung centre, Royal Brompton & Harefield Hospitals Specialist Care (RB&HH) at this year’s Arab Health 2017. The simulation will be the first-time that RB&HH will perform the procedure in the Middle East, and the event is taking place at Dubai International Convention & Exhibition Centre between 30 January – 2 February 2017. 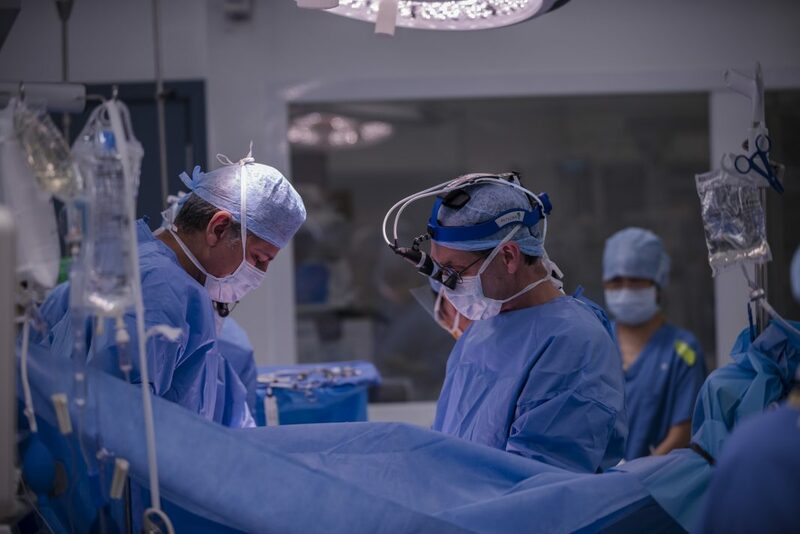 The procedure provides hope to patients in the Middle East with Hypertrophic Cardiomyopathy, an inherited heart disease, which affects as many as 1:500 people across the world. Hypertrophic CardioMyopathy is the most common inherited cardiac condition and associated with an increased risk of sudden death in the young. The disease affects people of all ages, is a major cause of complications in youth, and can often affect several members of the same family due to its genetic traits. On average, up to 75% of the patients are associated with symptomatic Left Ventricular Outflow Tract Obstruction (LVOTO). LVOTO is caused by the thickened heart muscle and the abnormal movement of the mitral valve and is the main mechanism of symptoms in Hypertrophic CardioMyopathy patients. The most definitive management of the LVOTO is the surgical myectomy. Across the globe there are only few centres with the clinical experience to manage Inherited Cardiac Conditions (ICC), Royal Brompton & Harefield Hospitals (RB&HH) is one of the largest centres for the diagnosis and management of patients with ICC. During Arab Health 2017, RB&HH Specialist Care will demonstrate this technically demanding surgical operation. The procedure is one of many offered in RB&HH’s inherited cardiac service. Mr Fabio De Robertis, adult consultant cardiac and transplant surgeon at RB&HH will perform the demonstration whilst Dr Antonis Pantazis, consultant cardiologist at RB&HH, Lead of the Cardiomyopathy Service, will talk about the procedure as it is being simulated. The simulations will take place on Monday, 30 January and Tuesday, 31 January between 2pm-3.30pm on the ABHI stand (UK Pavilion, Zabeel Hall 1, Stand Z1D30). “Heart disease is one of the biggest killers in the Middle East and a thickened heart muscle is one of the main risk factors for sudden cardiac death, especially in young patients. Patients with LVOTO often experience exertional symptoms which can impact daily living. For this reason, we are excited to be demonstrating this life-enhancing procedure in the Middle East in order to bring hope, and a real solution to those with HCM. We are proud to be one of the few leading ICC centres across the world with state-of-the-art imaging services, genetic advances and a full range of expert interventions to manage these cardiac conditions,” said Dr Antonis Pantazis at RB&HH. Royal Brompton and Harefield Hospitals are renowned for their expertise, standards of care and research breakthroughs. As one of the largest specialist heart and lung centres in the UK and among the largest in Europe, RB&HH treats patients from across the world. RB&HH Specialist Care works closely with hospitals, specialist medical centres and other health providers across the Middle East to promote clinical excellence and exchange of international expertise. RB&HH Specialist Care provides patients with comfortable surroundings in their private wards within the main hospital buildings. The hospital’s dedicated concierge services and International Liaison Officers provide support to overseas patients and their families, paying particular attention to their cultural, religious and language needs.